Greenfield, MA — August 17, 2017 — Visual Search is now open source. Zappen ® (https://www.zappen.co) and Yes Exactly, Inc. ® today announced a FOSS production-ready framework for mobile application development utilizing computer vision, image recognition, and augmented reality (AR) technologies. Previously, working implementations of visual search have only been available through proprietary APIs such as that offered by Google Lens (still in beta). Zappen combines a cross-platform React Native app with a PASTEC / ORB / OpenCV backend employing the “visual words” algorithm for image recognition and search. Server-side image recognition confers several benefits over QR, including enhanced security, brand recognition, and the ability to re-use existing collateral and signage. Zappen returns 98.7% accurate results in 3- 5 seconds, under normal lighting and bandwidth conditions. It has been tested for accuracy with a dataset containing 100,000 images and is currently undergoing further scalability and performance testing. The technology is best suited for 2D images such as logos, posters, signs, and product packaging. Potential uses include public key verification, electronic currency transactions, signs, exhibits, and advertising. The Zappen visual search repository is available on Github under the LGPL 3.0 license at https://github.com/ZappenVDNS. Future planned enhancements include machine learning and integration with the EmerDNS distributed domain name system. Try adding your own images and links (no coding required) with our free demo. Zappen is pleased to announce the launch of the Valley Beer Trail app, available as a free download for both iOs and Android. 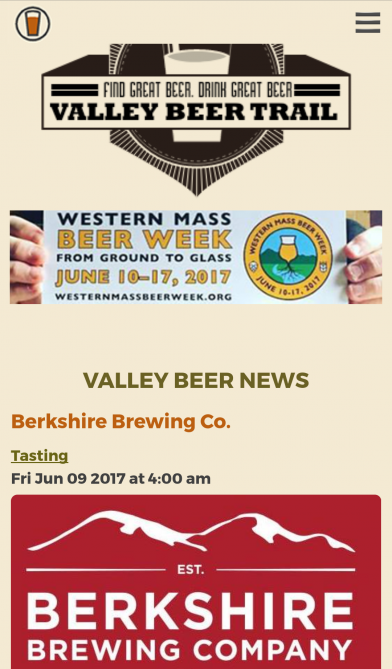 Also included in the app are listings and information for all the breweries in western Massachusetts, southern Vermont and southwest New Hampshire so you can plan your next beer trip. With dozens of destinations on the Valley Beer Trail, there’s so much to explore. Have fun, be safe and go hit the Valley Beer Trail! The Valley Beer Trail is a creation of the Northampton Radio Group: 93.9 The River, WRSI; WHMP and Hits 94.3. Zappen’s parent company, Yes Exactly Inc., announced a licensing agreement with Discogs.com paving the way for further collaboration between the two companies. 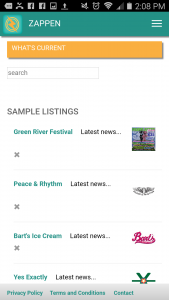 The contract provides access to Discogs’ online dataset for scalability testing, and guarantees placement of Zappen logo and UX elements in connection with new visual search features to be added to the Discogs app. Discogs is the leading online music trading marketplace for vinyl record albums and more. The Discogs app has approximately 250,000 users. An updated version of the Zappen visual search demo app is now available for iPhone and Android platforms! Built using React Native, this cross-platform app can be easily configured to use the image dataset of the client’s choosing. Our test image set contains 3,000 images, with an image recognition success rate of 98.3%. Each business logo takes you to a dynamically generated “digest version” of the organization’s social media presence. Augmented reality has never been easier to deploy or use. Zappen connects the “real world” to the online world, helping brick-and-mortar spaces to build their online presence. Zappen represents at WRSI / Valley Beer Trail’s UBeer Fest at Gateway City Arts in Holyoke, MA. 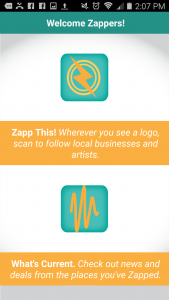 Yes Exactly is pleased to announce that Northampton Radio Group (WRSI, WHMP and Hits 94.3) will be using our Zappen augmented reality and social media aggregation technology as the backbone of the new Valley Beer Trail custom app. 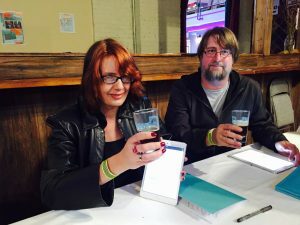 The app helps beer drinkers in the Pioneer Valley find the perfect beer and more, with an interactive map and up-to-date listings of events, tastings, and festivals at venues across the region. Whether you want to know what’s happening every week at your favorite neighborhood pub, or tour breweries across the region, the Valley Beer Trail app is a must-have for the beer enthusiast. The Valley Beer Trail app and new website will launch this spring.